To invoke Article 226, what is determinative is not merely the nature of the organization, but the function it perform, said the Court. 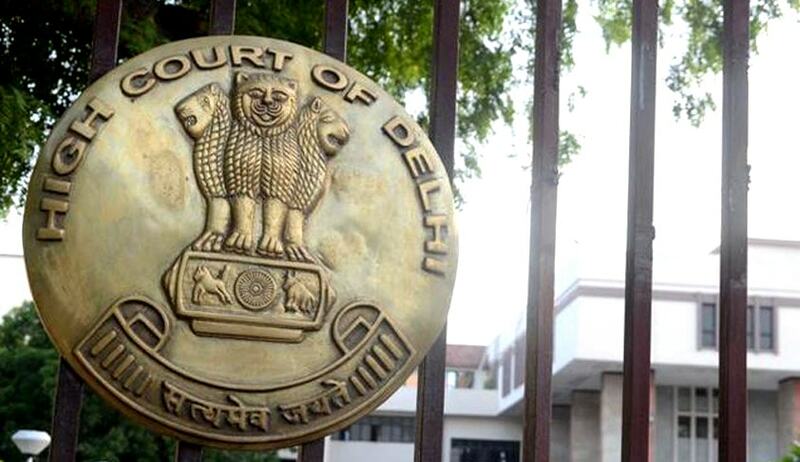 Delhi High Court while delivering the Judgment in ‘One Vote One Bar’ repelled the contention that Article 226 cannot be invoked against Bar Associations are not statutory bodies, but merely represent the interests of their members, i.e., lawyers and they do not possess any regulatory control or power over the functioning of enrolled lawyers, nor can discipline them for misconduct. It is argued by the President of Delhi High Court Bar Association that the function of Bar Associations is to merely highlight and espouse causes concerning Advocates and channelize their grievances with the Courts and act as facilitators to ensure that common goals of the lawyer community as one of professionals is achieved. It is submitted that neither the Bar Council of any State nor the Bar Council of India have any powers to interfere in the affairs of the Bar Associations and cannot command them to amend its constitution without having a General Body meeting. "Thus, it is clear that when a private body exercises its public functions even if it is not a State, the aggrieved person has a remedy not only under the ordinary law but also under the Constitution, by way of a writ petition under Article 226”. “The question, which this Court has to address, is whether, in the light of the above principles enunciated by the Supreme Court, can the present proceedings be maintained validly against the respondent Bar Associations. They assert that such proceedings cannot be maintained, because they are purely private bodies, voluntarily formed with their own Constitutions. They also assert that in exercise of the power under Article 226, this Court cannot mandate them to include stipulations for introducing the one Bar one vote principle. 33. At the heart of the issue lies the question: do any of the issues in controversy involve a public element. As this Court perceives it, there can be no two opinions on this: the answer has to be an unequivocal affirmative. An Advocate (who is the unit for whom all respondents avowedly stand, as representative bodies) engaged in law practice, before Courts in India, occupies a crucial and important position. She or he has the exclusive privilege, by law, to appear and represent others in cases and causes tried and decided by courts. This privilege is conditioned by provisions of the Advocates Act; it is also subject to continued good conduct- any lapse or actionable misconduct is liable to disciplinary action, the manner of whose proceedings and the nature of penalties that can be imposed, are again expressly stipulated by law- either under the Advocates Act, or under Regulations framed thereunder. Statutory appeals are provided against penalties imposed and the right to ultimately appeal to the Supreme Court is also assured. Every Advocate is duty bound to follow the code of conduct 15 formulated by the Bar Council of India. The professional activities of every Advocate - qualifications recognized, requirement of being enrolled, conditions for continuous enrolment, obligation to follow a prescribed code of conduct, comport herself with dignity and also assist the Court, duty to represent clients, accountability for action and lapses duties of statutory authorities, such as the Bar Council of India and State Bar Councils, maintenance of rolls, disciplinary proceedings and the manner of their conduct, are regulated by law. All this is to one end: provide a service to the client, in an orderly and regulated manner, professional assistance of an individual trained in the discipline of the law to secure the timely and efficient of resolution of a dispute before the Court. Given this position of Advocates in Courts in India, and the importance of their role in judicial decision making, their conduct in respect of matters not regulated by law may appear, on the façade, beyond the pale of what may be described as "public functions". Yet, that is not the case. Bar Associations- like the respondents, apart from the statutory bodies such as Bar Councils, also occupy a pivotal role in Court administration and functioning. This can be gathered from the fact that Court procedure is framed after consultation with such Bar Associations, important policy and administrative decisions such as rules to allot chambers, use of common spaces, allotment of commercial spaces, their identification (all meant for the use of the litigant public and members of the Bar) earmarking of parking lots, policies and rules for designation of senior counsel under the Advocates Act, are taken, more often than not, with the consultation and inputs from these Bar Associations, in view of their representative nature. Any dispute within such association invariably has repercussions in court functioning. Conflicts with members of the public, interface with the local administration and police authorities routinely - for security of court, court precincts, chambers, etc. need active participation by Bar Associations. Often, individual grievances of members of the Bar in court premises require intervention and deft handling on the part these Associations, in the absence of which Court proceedings would be disrupted. Above all, elections of Bar Associations quite often lead to large-scale requests for adjournments, and litigants have to pay the price. Intervention through court policies requiring discipline in canvassing for votes and what is permissible in the form of leaflets and pamphlets, use of speakers, etc, by the Bar Associations, if left unregulated would also seriously undermine court functioning. These show that Bar Associations' activities have a predominantly public character, and can, in many instances, affect court functioning. As a result, it is held that the nature of relief sought in these proceedings is intrinsically connected with public functioning of the court and affect them. Consequently the present proceedings are maintainable under Article 226 of the Constitution of India”.